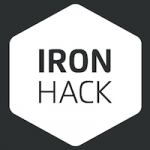 Ironhack is a Tech Campus that has launched Programming Bootcamps (web and iOS) in Madrid, Barcelona and Miami. Our programs are highly selective in the admission of its applicants and very intensive, with over 400 hours of class over the 8 week in-person program. During the Ironhack experience you will be surrounded by an incredible group of peers, some of which will have completed CS studies or other engineering related fields, while others will be new to coding with the intention of changing careers to enter the tech industry. Our curriculum is focused in teaching programming best practices and agile methodologies that are applicable to the real world. All of our instructors are programmers at world class companies such as Spotify, Yahoo, Ebay, Xing or Telefónica. After the bootcamp we’ll help you set up a bunch of interviews with some of our hiring partners and other companies so you can land the job you are looking for! In Miami location, Ironhack offers a $1,000 scholarship for women and veterans for all our courses.